Edens and co-developers Level 2 Development and Trammell Crow Residential broke ground on their 1270 4th St NE development, which will combine retail and residential to help expand the community near the booming Union Market. Edens CEO Jodie McLean (right) brought in renowned Philadelphia-based chef Jose Garces (left of Jodie) to create a 20k SF Latin marketplace concept for the ground floor of the development. They broke ground Monday at the site of the development, using shovels designed by local artists. Several of those artists attended the groundbreaking, which had a crowd of more than 50 people. Mayor Muriel Bowser and other community leaders joined Edens to celebrate the groundbreaking and look ahead toward DC's future. "I am very happy that you're focused on the things that are going to continue to make our city prosperous and prosperous for everyone," Bowser said. "We have come a long way in Washington, DC. We have a lot to be proud of and we have a lot to get ready for." Level 2 and TCR willl manage the 1270 4th St project, which will have 432 residential units above Jose's Latin marketplace. The 11-story building is slated to open in late 2018. The original warehouse facade of the building is being preserved to add character to the retail storefront. "One might look at it and say this 1950s façade of brick is not really of historical significance," Level 2 principal and co-founder David Franco said. "It's just an old warehouse, but it's so important to the fabric of this community and the fabric of this warehouse neighborhood. It’s that architecture such as this one that you see here that really sets the tone for what the market is going to be." Jose opened his first restaurant in 2005 and now owns more than a dozen restaurants in Philadelphia, Chicago, California, Arizona and New Jersey. "We’re going to be creating a dynamic culinary center right here in the nation's capital, celebrating the richness and diversity of Latin cuisine and culture," he said. When Jodie took to the podium, she called up the two daughters of DC Councilmember Kenyan McDuffie, who also spoke at the groundbreaking. With her arm around McDuffie's daughters, Jodie highlighted the importance of creating a sustainable future for young people. 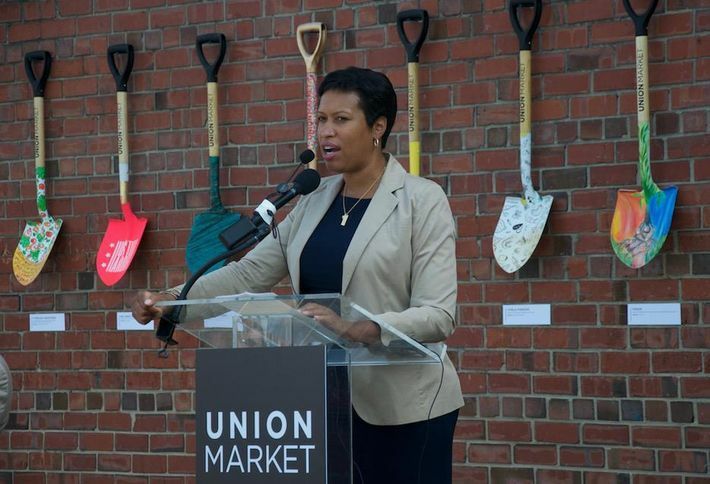 "Our vision here for Union Market is to be a part of the broader vision for DC," Jodie said. "To be a part of that growing, intellectually creative economy here that gives this group of people a home, a community of like-minded people to come together and think well beyond what they see here today." Echoing the sentiments she shared at last week's Bisnow DC State of the Market, Jodie emphasized the importance of building a strong community. She began her speech with a tribute to the Orlando attack victims, saying tragedies such as this show the importance of having a tight-knit community. Jodie said Edens has already created 450 to 500 new jobs with its existing Union Market developments, and she aims to create as many as 20,000 jobs by the time she's finished. WASHINGTON, October 12, 2015 — D.C-based Level 2 Development (Level 2) is on track to exceed its off-site affordable housing public benefit for its Planned Unit Development (PUD) The Highline at Union Market at 320 Florida Ave., N.E., furthering its goal to create more impactful affordable housing than would typically be required under zoning regulations. Under a plan unanimously approved by the Zoning Commission in a bench decision at the project’s Final Action hearing on July 13, 2015, Level 2 proposed to shift half (7,747 square feet) of its required on-site affordable units that were designated for households earning up to 80 percent of Area Median Income (AMI) to 13 new off-site homes, which would total 13,747 square feet and be sold to households earning an average of no more than 50 percent AMI. The off-site homes are to be built in partnership with Habitat for Humanity of Washington, D.C. (DC Habitat), with Level 2 contributing approximately $1.4 million toward their development. A short video about Level 2 and DC Habitat’s unique affordable housing proposal is available here. Since the proposal’s July approval, Level 2 and DC Habitat have secured properties for 12 of the 13 planned homes in the Ivy City neighborhood of D.C. These sites will enable the size of the off-site homes to be built even larger than previously anticipated, with every home now planned to have three bedrooms and no less than 1,200 square feet. The increased size of the homes puts Level 2 on track to exceed its own off-site affordable housing proposal by an additional 13 percent, with the total square feet of the homes projected to increase from 13,747 to 15,600. In addition, the move to an off-site affordable development with DC Habitat will allow for the construction of three times as many bedrooms than an on-site proposal would have yielded. Thirty-nine bedrooms are now slated for development, compared to the projected 13 bedrooms under traditional on-site requirements. The unique off-site proposal was the result of conversations early in the PUD process between Level 2, the Office of Planning, ANC commissioners, and community stakeholders about more effective ways to address the housing needs of low-income families in the area. All parties showed a collective interest in creating a more impactful affordable housing public benefit for the Highline at Union Market project, which led Level 2 to its partnership with DC Habitat. DC Habitat secured property for 8 of the homes from Trinity Baptist Church, adjacent to the church. The proceeds will help the church expand its membership and programs within the ANC-5D01, and provide additional benefits to the community. When all of the off-site homes are fully built, Level 2 will have developed more than double the square feet of affordable housing in its off-site homes than would have otherwise been required if all units were located on-site at 320 Florida Ave. The planned development would also ensure that all off-site affordable units are built in ANC 5D-01, less than a mile from the Highline at Union Market project itself. Maintaining the off-site housing locally was a priority for Level 2 and of particular importance to ANC Chairperson Kathy Henderson (ANC 5D-05) and ANC Commissioner Peta-Gay Lewis (ANC 5D-01). The unique off-site affordable housing public benefit concept was met with the unanimous approval from Zoning Commission members at a Final Action hearing last month. Several other members of the commission, including Chairman Anthony Hood and Vice Chairman Marcie Cohen, echoed Miller’s remarks during the July 13 hearing. In addition to approval from the Zoning Commission, Level 2 received wide support for its off-site proposal from stakeholders including ANC-5D, ANC-6C, the Coalition for Smarter Growth, Ward 5 Councilmember Kenyan McDuffie, Department of Housing and Community Development Director Polly Donaldson, Jubilee Housing President Jim Knight, and the Office of Planning. This is a second act for Level 2, which in 2007 leveraged a $1 million contribution from its View 14 PUD at 2303 14th St., N.W., to enable 48 low-income families that were on the brink of displacement to acquire and rehabilitate their apartment building and remain in their homes at the Milestone Sankofa building at 1430 Belmont St., N.W. Level 2 Development, LLC, (Level 2) is a Washington, D.C.-based real estate firm specializing in the development of residential and mixed-use projects that offer the highest level of finishes and detail. Level 2 believes in building strong relationships with all of its partners — equity sources, design and construction professionals, residents of its communities, and with local stakeholders in the larger communities in which it works. Level 2 has proven success in land acquisition, entitlement, and construction management. Since its founding in 2005, the company has led the development of more than 1,500 residential units and 75,000 square feet of retail space, representing in excess of $300 million in assets. 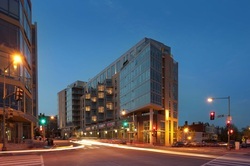 Level 2’s projects in Washington, D.C., are located in the Union Market, 14th Street, and Takoma neighborhoods. For further information on Level 2 Development, please visit www.level2development.com. ABOUT HABITAT FOR HUMANITY OF WASHINGTON, D.C.
Habitat for Humanity of Washington, D.C. (DC Habitat) is a 501-C-3 organization that works to eliminate poverty housing in the nation's capital by building decent, affordable, energy-efficient homes for people in need. Utilizing volunteer labor and financial contributions, DC Habitat builds and rehabilitates houses in order to sell them to low-income families who would not otherwise be able to purchase their own homes. For more information, please visit www.dchabitat.org. Takoma Central, a 150-unit apartment building at 235 Carroll St. NW, is already fully leased in phase one of the two-phase development and has now opened the final phase of apartments for leasing. Ground-floor retail in the building includes a Busboys & Poets restaurant, and nearby, in Takoma’s main street historic district, residents can find an eclectic mix of shops and restaurants. The Takoma Metro station is also nearby. Developed by Federal Capital Partners and Level 2 Development, Takoma Central includes studio, one- and two-bedroom apartments that lease for $1,485 to $2,810 a month. The building was designed to blend in with the architectural character of the neighborhood and to meet LEED standards for sustainable and healthful living. The entire property, which is managed by Bozzuto Management Co., is smoke-free. The sunlit lobby includes seating areas and features works by local artists curated for the building. The 434- to 1,100-square-foot apartments feature open floor plans, wide-plank oak flooring, granite countertops, maple cabinets, Energy Star appliances and high-efficiency water-saving features. Building amenities include a private courtyard with a fire pit and outdoor grills, a fitness center, a resident lounge, a business center, an Internet cafe and an automatic package concierge. The building also has bicycle racks and preferred parking for fuel-efficient cars. For more information and apartment availability, visit www.takomacentral.com or call 866-430-5684. Level 2 Development’s proposal to build a mixed-use building near Union Market got the thumbs up it needed on Monday night. Modeled after steel shipping containers, the 315-unit development at 320 Florida Avenue NE (map) will include a multi-tiered park that will offer a walkway that leads into the market itself. It’s slated to join the growing development on the busy avenue in late 2018. The Zoning Commission gave The Highline at Union Market the go-ahead that it needed on Monday night, approving variances for requirements related to the rear yard, compact parking spaces and the loading and roof structure requirements. The setback of the roof structure was brought up by Commissioner Peter May during the final discussion, who expressed some concern that while it doesn’t block the view of anything currently built, a future development may have to contend with the structure. However, May said that it wasn’t something worth holding up the development, and with no other concerns from the commissioners, the motion to approve the project was unanimously supported. The Eric Colbert-designed project, which will take the place of the Burger King on Florida Avenue, will have 10,000 square feet of retail, 315 units and 143 parking spaces. However, the highlight of the project may be the park on the western portion of the site. The developers intend to develop the currently unkempt site into a multi-level landscaped park that will provide a walkway into Union Market. Level 2 intends to be responsible for the park for ten years in anticipation of forming a business improvement district, which will eventually assume the responsibility. The development’s 13 proposed affordable units will be located off-site, and are scheduled to be completed before the planned unit development is awarded. If they aren’t, five of the units will move back on-site and be reserved for households earning up to 50 percent of the area median income (AMI). Any others still undeveloped by this time will also revert back to on-site but be reserved for households earning up to 80 percent AMI. “This is a creative approach to getting the affordable housing that is badly needed,” Vice Chairperson Marcie Cohen said. There’s a gold rush under way just east of the NoMa Metro tracks. In May, the first mixed residential/retail building planned for the Northeast DC neighborhood around Union Market is slated to break ground. And if all goes as planned for the five big developers invested in the area, at least eight more such projects will follow. The momentum has been growing since 2009, when the District published a framework for future development of the 45 acres bounded by Florida and New York avenues and Penn and Sixth streets, Northeast, near Gallaudet University. Then in 2012, the developer Edens opened Union Market on the site of DC’s historic Capital City Market (which still has active wholesalers, distributing mostly produce, meat, and ethnic foods). It wasn't long before millennials in Logan Circle and suburbanites alike were making weekend trips to the new part of the market to stock up on small-batch bourbon and to brunch on Rappahannock oysters in a part of town they’d previously considered desolate and dangerous (if they considered it at all). Now it seems the tipping point has been reached. Spurred by the popularity of the market, proximity to Metro, and the rapid building-out of adjacent NoMa to the west, major developers—in addition to Edens, there’s Douglas, JBG Companies, LCOR, and Level 2—have bought into the neighborhood and meet regularly to confab about how they intend to shape it. The Union Market housing boom is poised to explode. And the result could be a brand-new residential and retail hub that does double duty of helping make adjacent NoMa feel less like an office park and more like a real neighborhood. The rest of us should see the effort start to take root this month with the project at 340 Florida Avenue, Northeast. The property has a winding history, dating to 2003 when Sang Oh Choi, whose family runs many wholesale businesses in the old part of the market, was awarded development rights from the city. In 2006, Choi be­gan the rezoning process to allow for a mixed-use building on the site. He won approval in 2008—just in time for the financial crisis to hit and his funding to dry up. Edens joined Choi as an owner in 2012, and finally, last May, LCOR bought the project from them, reportedly for more than $9 million, with Edens retaining control of the ground-floor retail portion. With the zoning approvals already in place, LCOR headed straight to construction, so its residences will be the first in the Union Market district. Senior vice president Harmar Thompson says LCOR wanted a stake in the neighborhood—340 Florida is thus far the company’s only property there—in part because of its “human scale.” He’s referring to the existing old market’s mix of low-rise commercial structures and industrial buildings, which he and other developers say contribute to a gritty, warehouse-style vibe unlike anywhere else in DC. They point to New York City’s Meatpacking District and Portland’s Pearl District as influences—both of them industrial areas made over into residential, shopping, and dining destinations. It seems that such an area, with lower-rise structures and historic architecture, could offer much-needed character to the surrounding neighborhood, currently dominated by NoMa’s glassy high-rises. That industrial character is what initially attracted Edens. 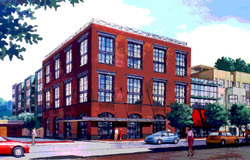 In addition to its role at 340 Florida, the developer has two other mixed-use projects in the works, including one on Fourth Street, Northeast, with as many as 500 apartments, which will incorporate an existing 1950s warehouse, and another that will rise above the actual Union Market, with an Angelika movie theater and either office or residential space. Paul Pascal—an attorney who for nearly 50 years has represented wholesalers in the historic Capital City Market and whose family owns five properties there—says he’s pleased with the plan for the neighborhood. That wasn’t the case the last time newcomers wanted in, back in 2006, when an initiative called New Town was introduced essentially to level the old market. Pascal headed an association of wholesalers that helped stop it. He remembers how lively the market was in the 1960s and ’70s, before larger wholesalers relocated to places like Landover in Prince George’s County. He says he’s hopeful the future changes won’t come at the expense of older businesses: “I think for the wholesalers that want to stay, the trade will still be there. The smaller restaurants and embassies can’t go out to Landover or Jessup to buy their products.” As more foot traffic comes through, he anticipates that some wholesalers will begin to develop retail businesses. DC Council member Kenyan McDuffie—who represents Ward 5, where Union Market is located—says an anticipated 20,000 permanent new jobs will come with the development of the Union Market district. Even with the old market as a backdrop, because LCOR’s building at 340 Florida—called the Edison—will be brand-new, some grit will have to be manufactured. The design, by SK&I architects, has evolved to look more obviously industrial. A rendering published in 2013 depicts a slicker structure with white siding. The current version features wide, nine-paneled windows characteristic of an old warehouse. Its 187 rental apartments will be loft-like. One unusual feature is that 20 percent of its units will be affordably priced for households that earn no more than 80 percent of Washington-area median income. The current requirement for new buildings in the District is that 8 to 10 percent of units be priced according to this definition of affordability. But the higher percentage for 340 Florida was part of the deal originally approved by the Zoning Commission back in 2008, and it endures today. LCOR anticipates that the Edison will open in the second quarter of 2017. Next door at 320 Florida Avenue—where a Burger King now sits—Level 2 is in the early stages of a 315-apartment project it’s calling the Highline, named after the elevated park that goes through New York’s Meatpacking District. The developer closed on the property for about $9 million last July and, though it’s still awaiting a zoning hearing, expects to break ground by July of next year. The property’s location is significant, because the building will be the very first on the east side of the train tracks that pass over Florida Avenue and divide the Union Market district from NoMa. On the NoMa side, you have a Courtyard Marriott that could fit in any soulless office park in America. A new luxury apartment building, Elevation, abuts the tracks, too. It’s a vast improvement over the vacant lot it replaced. But when you add the towering, angular building to the busy thoroughfares of New York and Florida avenues that border it, plus the Bureau of Alcohol, Tobacco, Firearms, and Explosives behemoth across the street, you get an imposing pocket that pedestrians rush through only out of necessity to reach Metro. Level 2, working with architect Eric Colbert, has an opportunity to change the tone east of the tracks. For his design, Colbert was directly influenced by the location. The columns and steel I-beams of his building’s facade mimic the structure of the Metro underpass. Colbert says he was thinking of “shipping containers stacked at a port” when he devised the way sections of the building are staggered. Just as important as the actual structure, however, will be the small parcel sandwiched between it and the underpass. The city-owned land is currently a dumping ground for potato-chip bags and soda bottles. Level 2 wants to turn it into a park with a pedestrian walkway that leads to Union Market. The developer is requesting that DC dedicate the land as green space. Level 2 principal David Franco says his company will work with the city to hammer out a plan for maintaining it. Green space is something the area sorely lacks. NoMa, now 50 percent built out, has almost none—one reason the neighborhood can feel sterile and not so much like, well, a neighborhood. Ride the Red Line into the NoMa station and you’re greeted by what is essentially a shiny new city of offices and apartments. Parks would go a long way toward softening the landscape, and with a $50-million city grant, the NoMa Business Improvement District (BID) is planning six. Another is an effort to build art parks beneath four underpasses created by the Metro and Amtrak tracks that divide up NoMa. As they are now, the underpasses are dim, dirty, and often riddled with puddles. By turning them into art installations and improving lighting and other safety elements, the BID aims to encourage pedestrian traffic to and from surrounding areas, including the Union Market district. Construction on the new parks is slated to begin by the end of 2015. “Level 2 Development, LLC (Level 2) filed a Planned Unit Development (PUD) Application with the Zoning Commission for their latest project, The Highline at Union Market, a 315 unit mixed-use apartment building with 8,472 square feet of retail at the front steps to the burgeoning Union Market district in Washington, DC. Located one block from the NoMa/Gallaudet Red Line Metro Station at 320 Florida Ave., NE, The Highline at Union Market will connect the NoMa and Union Market neighborhoods. The project is a joint venture of Level 2 Development and Clark Enterprises, Inc. Designed by Eric Colbert & Associates, the modern-industrial architectural design integrates warehouse-style windows with industrial-framed glass cubes that weave in and out of the Florida Avenue façade at varying depths. “We set out to design a building that considered the adjacent rail uses as well as the industrial and commercial uses of Union Market, drawing on inspiration from New York City’s High Line and Meatpacking District,” said Level 2 Principal David Franco. Other unique elements of the design include materials reminiscent of rail cars, and steel columns that echo the riveted steel supports of the nearby railroad underpass. The PUD offers a range of public benefits, including a proposed green space and public plaza at the adjacent D.C. Government-owned land. Level 2 received votes in support of its conceptual plans for these landscape improvements from Advisory Neighborhood Commissions (ANCs) 5D and 6C. ANC 5D stated in its letter of support that “the proposed improvements to the District-owned land would greatly contribute to the safety and connectivity of the Union Market and NoMa neighborhoods, and will serve as a much needed improvement to the land, which is currently overgrown, littered with trash, and generally neglected.” Level 2 Development plans to continue to work closely with the community and Office of Planning during the PUD process. In addition, the PUD expands housing opportunities in the Union Market area, offering 8% of the residential square feet as affordable dwelling units. The transit-oriented project will include sustainable features equivalent to LEED Silver, including a green roof, bioretention facility, energy-efficient building design, and 105 bicycle parking spaces for residents and employees. “Union Market is a special place with rich history and we are excited to be a part of it,” said Jeff Blum, Level 2 Principal. Level 2 Development is planning to develop a 315-unit mixed-use apartment project near Union Market that it hopes will pay homage to New York's Meatpacking District at a gateway site leading into the District's NoMa neighborhood. Level 2, which is also a part of the team working with Edens to remake the 45-acre Union Market, has filed a Planned Unit Development Application with the District to build 315 apartment units and just shy of 8,500 square feet of retail space at 320 Florida Ave. NE. The site currently includes a Burger King and is the last parcel on the east side of Florida before crossing over the railroad tracks and into the neighborhood north of Massachusetts Avenue, known as NoMa. The developer, with joint venture Clark Enterprises Inc., has been evaluating the best uses and architecture for the site since they acquired it for about $8.8 million in July, Level 2 Principal David Franco said. What emerged was a plan that draws on the feel of the industrial and commercial uses of Union Market, captures the essence of New York's High Line and Meatpacking District, and features design elements of the adjacent rail lines. The planned development, designed by Eric Colbert & Associates, includes warehouse-style windows, industrial-framed cubes and other materials such as riveted steel supports used in the old rail cars. "It's important to us to maintain the character of Union Market District," Franco said. "We wanted something that was a nod to both the warehouse industrial usage and, at the same time, pays homage to the railroad, the rail tracks adjacent to this site." The Highline at Union Market, slated to cost north of $90 million, could begin construction in late 2016 pending zoning commission approval and other entitlements. It is also one of a number of new residential options cropping up in the area as Edens seeks to reshape the historic market area. Among those plans, LCOR Inc. wants to develop a 188-unit apartment building nearby at 340 Florida Ave. NE. Level 2's plans also call for green space and a public plaza on part of the site that is now overgrown and littered with trash. The plan could also include creating an easier connection to the NoMa-Gallaudet U Metro. The developer has offered to set aside 8 percent of the project's residential square feet as affordable housing. As proposed, the project would also include a green roof, bioretention facility and 105 parking spaces for bicycles. Level 2 Development’s 315-unit project adjacent to Union Market has set a planned delivery date for late 2018. The project, dubbed The Highline at Union Market — undoubtedly a nod to the urban-industrial aesthetic of the New York project bearing the same name — will be built on the site of a Burger King at 320 Florida Avenue NE (map). Developers filed a planned-unit development application for the project on Thursday morning. Eric Colbert is the architect on the project, which will include 8,400 square feet of retail and 143 parking spaces. In a news release, Level 2 said the building would be constructed to LEED Silver standards and have 105 bike spaces. The company is hoping to break ground on the project in late 2016. The development has increased in scope since it was first floated by Level 2 in fall 2014. In early January, Level 2 told an ANC 6C committee that the development would have small-sized unitssimilar to those of The Harper, another Level 2 project located on 14th Street NW. The company is also partnering with Edens on another residential development in Union Market. Level 2 Development filed a Planned Unit Development (PUD) Application with the Zoning Commission this week for a proposed 315-unit apartment building with 8,472 square feet of retail at 320 Florida Ave. NE, steps from Union Market and the NoMa Metro on the current site of a Burger King. The project, dubbed The Highline at Union Market, is a joint venture of Level 2 Development and Clark Enterprises, Inc. with designs by Eric Colbert & Associates. “We set out to design a building that considered the adjacent rail uses as well as the industrial and commercial uses of Union Market, drawing on inspiration from New York City’s High Line and Meatpacking District,” said Level 2 Principal David Franco in a statement. The project is proceeding under a PUD application to rezone the cite to C-3-C to allow a mixed-use project (instead of the current commercial only zoning) and to build a denser project that C-3-C would generally allow–Level 2 proposes to build to 8.0 floor area ratio (FAR). Unlike Level 2′s The Harper, which is entirely studio apartments, the Union Market project will include a mixture ranging from studios to two-bedroom units, with 8% of the residential square footage set aside as affordable dwelling units. The proposal estimates below-grade parking would total 143 spaces, though the developers request flexibility based on market demand when the project is actually constructed. The site will offer 105 bicycle parking spaces and Franco said his team plans to actively pursue a bicycle shop for the new building’s corner retail space to serve the already popular Metropolitan Bike Trail and in anticipation of a new bicycle link between Union Market and the new development coming to Ivy City. Franco said a key amenity stemming from the project is the inclusion of a new green space and public plaza at the adjacent D.C. Government-owned land. The large, hilly swath between the project site and the railroad tracks is overgrown and littered with trash. Level 2 will clear the site, include new seating areas and create a new pedestrian connection from Florida Avenue that would connect to the parcel behind The Highline with the assumption that when the lot to the rear is redeveloped, the path would be continued. “Ours is the first link,” said Franco. “We can really create a sizable green space at the market,” he added. Pending Zoning approval, the project could break ground in late 2016 and open in late 2018. 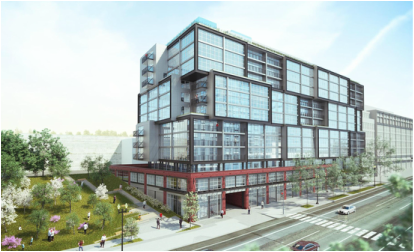 WASHINGTON, DC--Level 2 Development has filed a Planned Unit Development Application with DC's Zoning Commission for a 315-unit, mixed-use apartment project that it hopes to develop jointly with Clark Enterprises. The building, which will be called The Highline at Union Market, will have 8,472 square feet of retail and be located next to the Union Market district at 320 Florida Ave., NE. It will also be located one block from the NoMa/Gallaudet Red Line Metro Station. The building's modern-industrial architectural design was done with an eye to integrating with the neighborhood's architecture, according to Level 2 Principal David Franco. Designed by Eric Colbert & Assoc., the building uses warehouse-style windows with industrial-framed glass cubes that weave in and out of the Florida Avenue façade at varying depths. "We set out to design a building that considered the adjacent rail uses as well as the industrial and commercial uses of Union Market, drawing on inspiration from New York City’s High Line and Meatpacking District," Franco said. Could a warehouse-filled, traffic-clogged District neighborhood one day match the post-industrial glamour of New York City’s Meatpacking District? Inspired by the famed New York neighborhood known for its trendy restaurants, boutiques and bars, Level 2 Development is seeking to transform a site at 320 Florida Ave. NE — currently home to a Burger King and some weedy overgrowth — into a 315-unit apartment building surrounded by pedestrian walkways. Developers submitted the proposal for a Planned Unit Development (PUD) to the Zoning Commission this week. Most units would range from 400 to 1,000 square feet, though a few larger premium units would also be available, Level 2 Development principal David Franco said in an e-mail. Moreover, 140 parking spaces are planned, and community amenities would include a green park and a pathway linking the railroad tracks on the west side of the site to Union Market. “We see our project, the Highline at Union Market, as the front door of the Union Market District, setting the scene of what’s to come,” said Franco. The neighborhood, anchored by the historic markets on Florida Avenue, will be known for “specialty retail, artisanal food, dining and entertainment,” he added. Union Market, an upscale shopping center at 1309 5th St. NE, is packed with $30 bottles of olive oil and treats such as Korean tacos and smoked sablefish sandwiches. The revamped building opened in 2012 within an area that is often referred to as Florida Avenue Market, a longstanding wholesale marketplace with a grittier atmosphere, where patrons can pick up freshly butchered goats and buckets of tofu. In dubbing the project the Highline, Level 2 Development is linking the building to New York City’s popular High Line elevated park, a portion of which runs through the Meatpacking District. Architect Eric Colbert’s current plans pick up on the surroundings. The firm is involved in another project in the area. Last May, Edens Realty, the company responsible for transforming Union Market, submitted a PUD outlining plans for a 520-unit residence on a block bounded by Morse Street NE, 4th Street NE and Neal Street NE. Level 2 Development is responsible for developing the residential portion of the project, which would also include about 550 parking spaces, as well as public space and retail. The Takoma Park Busboys and Poets will have a space dedicated to coworking when it opens at the end of the year, owner Andy Shallal says. Takoma Park is one of at least three Busboys that are in the works, along with Brookland and Anacostia. 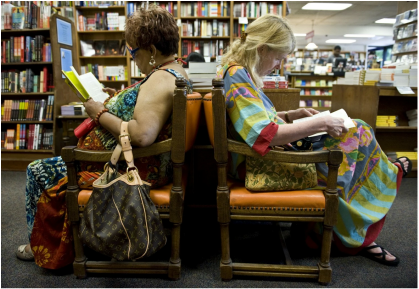 The venues are known as a community gathering place that hold poetry readings, book signings, film screenings, political and social discussions, live music and other events. 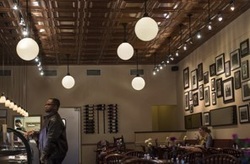 Each new Busboys requires about a $2 million investment and employs about 100. Located at Takoma Central, the coffeehouse and performance space will have computers and self-service area for ordering drinks, Shallal says. The computers will house some sort of software that will make it possible for workers who share common interests to connect with one another. Shallal says he’s still working out the details. Shallal decided to go with the coworking concept instead of his original idea of farmer’s market or grocer, which didn’t come to fruition. The Takoma Park store will seat 250 inside and about 50 outside. Meanwhile, Shallal’s Brookland store is also expected to open by the end of the year. That, too, is opening in a new mixed-use development, called Monroe Street Market. It will join Barnes & Noble and Brookland Pint. The Brookland store will seat 250 inside and 70 to 100 outside. And in about a year and a half, expect another Busboys to open in Anacostia. 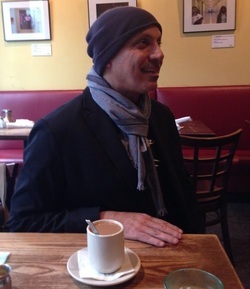 Asked why he’s opening so many, Shallal says that he thinks there’s a need for a Busboys in many D.C. neighborhoods. Federal Capital Partners and Level 2 Development recently began leasing Takoma Central, a new 150-unit apartment building in Northwest Washington’s Takoma D.C. neighborhood adjacent to the Takoma Metro station. The building’s first floor will be occupied by a Busboys and Poetsr estaurant, and residents will be able to walk to the neighborhood’s eclectic mix of shops and restaurants as well as the year-round Takoma Park Farmers Market. Transit options including Metro, Capital Bikeshare, Metrobus and Ride-on bus services. The sustainable and health-focused features of the building include LEED certification, bike storage, preferred and reserved parking for low-emitting and fuel-efficient vehicles, high-efficiency water-saving devices, recycled building materials and eco-friendly cleaning supplies. The property is smoke-free. Building amenities at Takoma Central will include a fitness center, a resident lounge, a courtyard with a firepit and grills, a business center, a social e-café and an automatic package concierge system. The homes will have wide-plank oak flooring in the living room, and granite counters, maple cabinets and stainless steel appliances in the kitchen. Some homes have a balcony or patio. Rents for the studio, one- and two-bedroom apartments range from $1,485 to $3,150. Residents are anticipated to move in this fall. For information and updates, go to www.takomacentral.com or call 202-888-2387. Bozzuto Management will handle the initial leasing phase from 232 Carroll St. NW Monday through Friday from 11 a.m. to 7:00 p.m.
Level 2 Development, part of the team working with Edens to remake part of the 45-acre Union Market in Northeast D.C., is spreading out with plans to redevelop another site nearby. 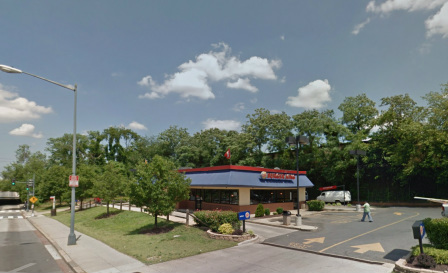 An affiliate of Level 2, 320 Florida Owner LLC, bought the Burger King site at 320 Florida Ave. NE July 22 for about $8.8 million. It picked up the property from Lionstone Investments, a Texas-based real estate investment trust that had owned it since 2006. L2 Principal David Franco confirmed the deal but said it is too early to discuss what the company's plans are for the 28,394-square-foot property. The site is on the northeast side of Florida Avenue between the railroad tracks and Fourth Street NE, just next to the propertyLCOR Inc. bought for $13 million in Junewith plans to build a 188-unit apartment building. The sale was brokered by Mac Realty Advisors, which marketed the property for Lionstone with the potential to build about 200 residential units. To do that, Level 2 would need to have that property rezoned through the District's PUD process. Even with that extra step, MAC Realty Executive Director Bruce Levin said there were nearly 10 offers from local, regional, and national groups interested in the property, a sign of the energy Edens has created surrounding its Union Market plans. MAC Realty Executive Director Andrew McAllister said that enthusiasm is starting to spread now that people can see the renovated Union Market and the activity surrounding it. "People realize that this is going to happen and it's going to be a special place," McAllister told me Wednesday. "Unique is an over-used word in real estate, but it truly is going to become a unique neighborhood." MAC Realty's Ben Lazarus and Nicholas Rubenstein were also part of the marketing team. The developer announced plans in May to build up to 520 residential units and nearly 40,000 square feet of ground floor retail on part of the site. Edens team for the project includes Level 2, Shalom Baranes Associates, Gustafson Guthrie Nichol and Bohler Engineering. 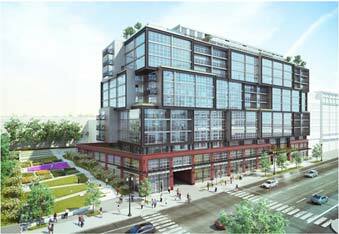 Edens Realty is planning a massive mixed-use development adjacent to Union Market at 1270 4th St. NE (map). The 11-story, 110-foot development will have about 40,000 square feet of retail and 420 to 520 residential units across 370,000 square feet. The units will range in size from studios to three-bedrooms. According to a planned unit development (PUD) submitted to DC’s Zoning Commission, the residences, which will face 4th Street, will be built on top of existing warehouse space that will be converted into high-ceilinged retail. The goal is to create “an exciting vibrant mixed use retail and residential project on the site that will provide a key step in the direction of the revitalization of the 45-acre Florida Avenue Market,” according to the documents. The Washington Business Journal was the first to report on this project late Wednesday. Edens is working with Level 2 Development and architects Shalom Baranes Associates on the project. The design is intended to extend the open, industrial feel of Union Market outward, with a curbless street that’s friendly for bikes and pedestrians, along with 400-550 underground parking spaces. Edens notes that the area around Union Market has become a hot residential and office area, but it’s yet to attract “sufficient retail offerings” for those who live and work there. This development will, they hope, “facilitate the long-awaited renaissance of the Market so that it becomes a true destination within the District.” The building will have about 30,000 residential square feet reserved for affordable housing as well as plenty of “interior amenity spaces for residents.” That’ll include a pool, according to plans. The design: The residential structure will rise above the retail area in four distinct “volumes” to provide visual variety and to break down the massing along the Property’s 425 feet of frontage on 4th Street. Although they are not designated as structures requiring historic preservation, the applicant is retaining, restoring, and adaptively reusing the original warehouse facade on the property. It's not Montgomery County, but the just-announced Busboys and Poets location in the Takoma neighborhood of Washington, DC is almost as good. The popular Washington, DC-based eatery just leased 6,500 square feet in Takoma Central, a mixed-use development at the corner of Carroll and Maple streets, according to a release from Federal Capital Partners and Level 2 Development, the developers of the $36 million rental-retail-restaurant combo. 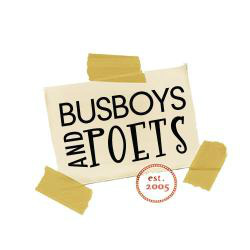 The Busboys location in Takoma will be the company's fifth and is set to open in spring 2014, The Washington Post's "Capital Business Blog" reported. A location in Northeast DC's Brookland neighborhood could be next, The Post reported. Takoma, adjacent to nuke-free Takoma Park in Montgomery County, has just the kind of liberal vibe Shallal likes for his restaurants, which frequently host social justice-minded events and speakers. Hip urban dwellers in our national capitol have David Franco and Jeff Blum of Level 2 Development, LLC to thank for new exciting apartment options. Founded by the two partners in 2003, the firm has prospered through the economic recession by addressing the increased need for rental and mixed-used buildings. Level 2 Development delights in bucking the more traditional architectural styles common throughout the city in favor of its distinctive bright and sustainable designs, and both Franco and Blum believe building locally gives their work a stronger focus. According to Franco, “We're Washingtonians and have watched the city change since we were kids, and we want to be a creative part of these changes. We also see so many opportunities in DC right now.” Those opportunities continue to result in new projects, including the View 14 apartment complex. The 14th and U streets corridor, once notorious for the start of the 1960s race riots, is now one of the most sought-after areas in America’s cosmopolitan seat of government. View 14, a high-rise apartment building completed near the intersection in the fall of 2009, with spectacular views of the US Capitol and the Washington Monument, is a monument itself to responsible construction and community engagement.